Demetria Devonne “Demi” Lovato is one of the biggest pop music sensations on the planet. The 23-year old singer/songwriter/actress began her career on the Barney & Friends television show as a child, also starring in shows on the Disney Channel and later transitioning to music. 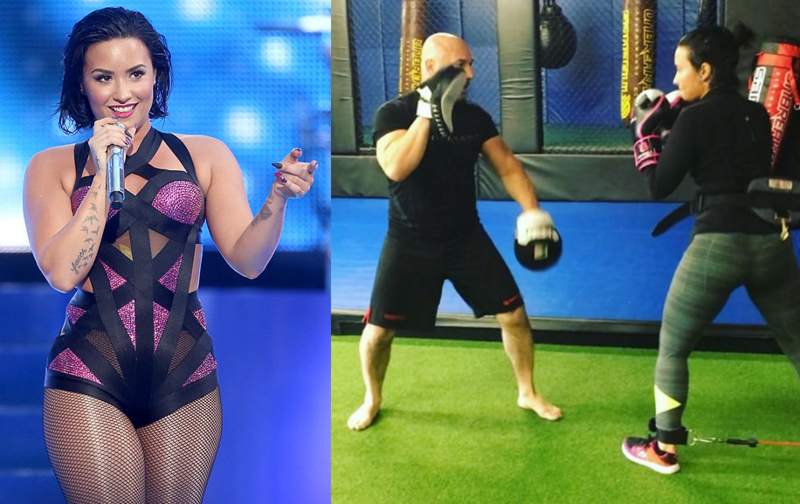 Lovato recently posted some videos on Instagram that show her training mixed martial arts with Jay Glazer, of FOX Sports. Boxing with @jayglazer at #unbreakable on a machine called the raptor…. By far one of the hardest workouts I’ve ever done!!! I hate the word victim. I never have been and I never will be.